ColaLife began as an online movement, challenging Coca-Cola, to help us understand how the distribution channels they rely on in developing countries could be harnessed to save children’s lives: helping to distribute ORS and Zinc to stop children dying of diarrhoea and reduce stunting caused by chronic diarrhoea. ColaLife was launched by Simon Berry, who had the original idea while working on the British Aid programme in 1988, and his wife Jane. However, no real progress was made until Simon floated the idea on FaceBook in May 2008. 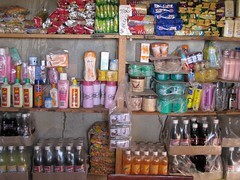 You can buy a Coca-Cola almost anywhere you go in the world, even in the most remote parts of developing countries. In these same places 1 in 8 children die before their fifth birthday from preventable causes and second biggest cause is dehydration from diarrhoea. The health sector has known how to treat diarrhoea for 3 decades but 99% of children do not get the recommended treatment which is Oral Rehydration Salts (ORS) and Zinc. It is access to a known health solution – not the solution itself – barring the way to progress. So ‘access’, in all its complexity, is where ColaLife’s work is focussed. In 2008, with a bit of nudging from our brand new Facebook Group* and helped by the BBC, the drinks giant responded, with advice, insight, detail, discussion and questions. But it all turned out to be both more complicated – and easier – than our initial idea: to put a better-designed ORS and Zinc product in the space between bottles in cola crates. That concept went viral. It is still a powerful visual metaphor for our work. But evidence showed it was the gap in the market, not the space between bottles, that was key. How to develop and exploit that gap in the market, without any further help from Coca-Cola at all, became our new mission. We became an independent UK charity in 2011, and ran a trial in Zambia, co-designed by local actors including the Ministry of Health, from late 2011 until 2013. Known as The ColaLife Operational Trial Zambia (COTZ) it was funded by Johnson & Johnson, DfID and COMESA and produced some astounding results. Since 2013, ColaLife has been helping local partners – public, private and NGOs – to scale-up Zambia-wide distribution of the successful Kit Yamoyo (‘Kit of Life’) and its value chain. Academics estimate that 3 lives are saved for every 1,000 kits distributed, whilst thousands more children are protected from stunting due to chronic diarrhoea and poor nutrition. This affects up to 70% of children in some areas, and 40% of Zambian children on average. You can see updates on where we are today. ColaLife has more than 10,000 online supporters, and interest from many global stakeholders. These help to give a tiny organisation the power to source expertise – and even information sharing – among unlikely partners like UNICEF, J&J, GSK, Coca-Cola, SABMiller and health agencies across the world. Why did we decide to create these ‘unlikely alliances’? In order to move from a tiny, voluntary-run campaign to getting something big happening on the ground, we needed serious support from big organisations; to foment real change and avoid ‘business-as-usual’, we wanted to put together some ‘unlikely’ partners. We felt the friction and the exchange of ideas and expertise that happens ‘at the edge’ could help foment change, for good. Coca-Cola agreed to advise us. Since fizzy drinks are not healthy, our decision to even speak to them was contentious. We decided not to push them for funding, to avoid the inevitable backlash – but we fought numerous battles of words, for the right to speak to whomever we thought could help. The first organisation to support the ColaLife Operational Trial in Zambia (COTZ) with funds, as well as training and advice, was The Johnson & Johnson Corporate Citizenship Trust (J&JCCT) and Janssen EMEA. They put ColaLife through one of their management and innovation ‘boot camps’ and we won our first substantial donation from their ‘Dragon’s Den’. 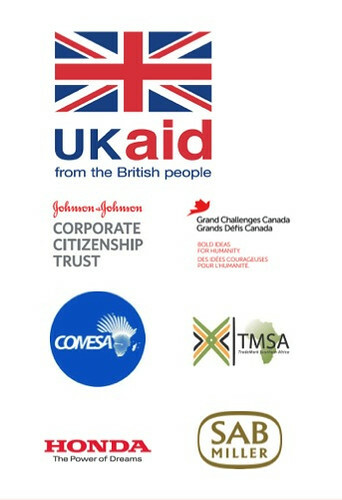 Next to come on board was our majority funder for the COTZ trial in Zambia: the UK’s Department for International Development (DfID). Other COTZ funders were COMESA/TMSA, Honda and Grand Challenges Canada. We continue to draw on huge support from packaging experts Amcor and PI Global, collaboration from UNICEF and other health agencies, far-sighted help from the Zambian Government Ministry of Health and department of Community Development – not forgetting thousands of individuals who offer everything from expertise, ideas and events, to regular donations. To this day, ColaLife is a tiny organisation – with no physical HQ, no employees, and few material assets. Most of the funding we raise goes directly to Zambian partners, or to free dissemination. For the short term, funding continues to be vital as we move from the trial to market development. Yet our vision will not be funding-driven, but self-sustaining, locally owned, and profitable for Zambia’s manufacturers, wholesalers and retailers. The encouragement and the kudos ColaLife gets from association with funders is also very valuable. Funders now support market development to underpin the Kit Yamoyo scale-up plan. 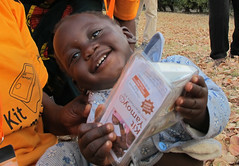 They include the SUN fund (Scaling Up Nutrition), DfID and ColaLife’s Innovation Award from GSK/Save the Children. Before the end of 2018, we expect the new Kit Yamoyo design and its value chain to be self-sustaining in Zambia, through local manufacture – now underway – and independent distribution and sales through existing channels to market. All profits go to local actors, including the micro-businesses that serve local communities in towns and villages. ColaLife has never been directly involved in buying or selling any kits, and we do not take any fees or margins from sales. We have learnt a lot about supporting mothers and carers who cannot afford the sustainable market price of Kit Yamoyo with discount vouchers; people from across the world contribute to our voucher fund, from individuals to start-ups like Everly. Our international dissemination work is supported by GSK/Save the Children, the Ceniarth Foundation, and the Isenberg Family Trust, amongst others. You can buy a Coca-Cola virtually anywhere in developing countries but in these same places 1 in 9 children die before their 5th birthday from simple, preventable causes like dehydration from diarrhoea. ColaLife, an independent charity, worked to understand Coca-Cola’s distribution, user needs, Bottom-of-the Pyramid costing, pricing, design and packaging, the power of social media, open-sourcing, and evidence-based action. We work with Health Ministries, local and international organisations, and the private sector, to spread ‘disruptive’ ideas so ORS and Zinc reaches children who need it. We educate carers, communities and everyone involved in the market, to make that happen. >> Read more about how we work here. Our original award-winning concept can be seen below: a wedge-shaped ‘aidpod’ (as the BBC’s Eddie Mair called it), designed to fit in the unused space between the necks of the bottles in a Coca-Cola crate. The ‘Aidpod’ remains a patent that we hold – but it wasn’t the key enabler. We moved on, from aidpod to flexi-pack, from askign for distribution help to a deeper understanding of how and why Coca-Cola and similar products reach as far as they do, in remote markets. For more, read about ColaLife and our current status. Here is a video describing the features of the AidPod. See also: The low-down on AidPods. Subsequent to this interview, Coca-Cola began work with the Government of Tanzania training those involved in the distribution of drugs and so it was suggested that we look elsewhere to undertake the ColaLife pilot. 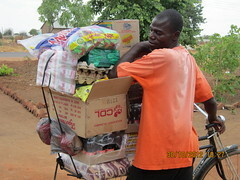 In the summer of 2010 we researched a range of countries for the pilot and chose Zambia. We are currently working with local partners, including the bottler of Coca-Cola in Zambia, SABMiller, on the first trial: COTZ. The principle of local determination was always heart of ColaLife, and as our strategy has evolved, that principle hasn’t changed – in fact, it has become ever more deeply embedded. We work to ensure any adaptations are implemented in ways which empower and strengthen the local public health and private sector infrastructure. This is explained in more detail here. Our key principles are here. If you would like to help ColaLife please do get involved. * Our original Facebook Group was deleted by Facebook when they introduced Facebook Pages. Our Facebook Page is here: facebook.com/colalife.